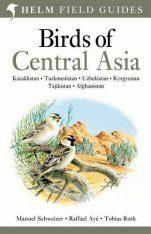 Birds of South Asia. 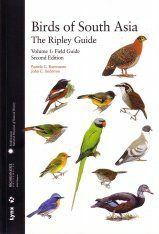 The Ripley Guide is a comprehensive, two-volume, up-to-date work covering the over 2500 known and likely taxa of birds of the spectacularly diverse Indian subcontinent. 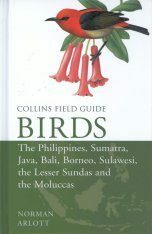 The geographical scope of this guide encompasses Bangladesh, Bhutan, India, the Maldives, Nepal, Pakistan, Sri Lanka, and for the first time Afghanistan and the Chagos Archipelago. Volume 1 is a Field Guide, bound separately for portability, while Volume 2 (Attributes and Status) contains much more detailed information. 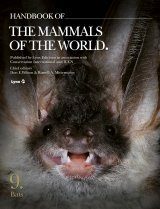 The second edition is revised and updated with the newest findings on vocalizations and taxonomy, including several taxa newly recorded for the region, species whose voice was previously unknown, and additional newly recognised species. 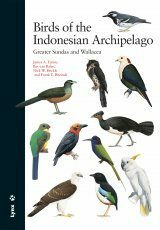 - Over 3400 illustrations appear in 180 plates painted especially for this book by expert artists. 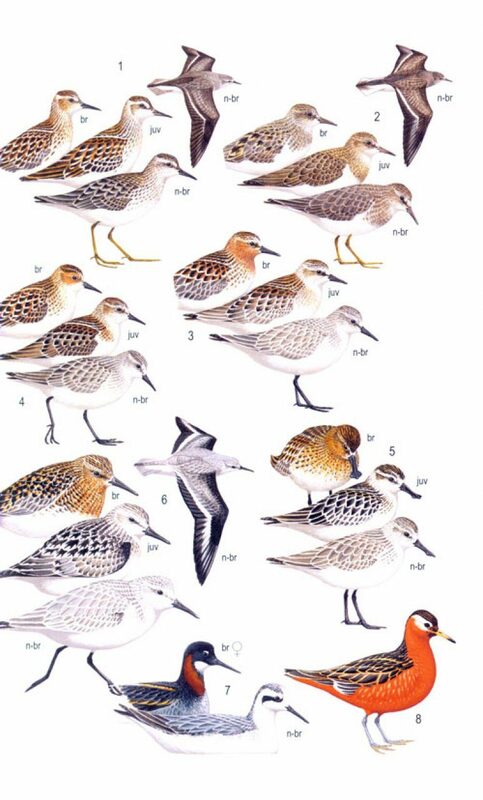 These depict virtually all species and most distinctive subspecies and plumages, some of which appear in no other guide. 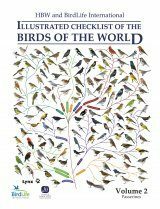 - Over 1450 colour maps, based primarily on verified records, represent the ranges of each regularly occurring species and many distinctive races, and distinguish migratory routes from winter ranges. - Maps are annotated as to geographic variation, status, and habitat. 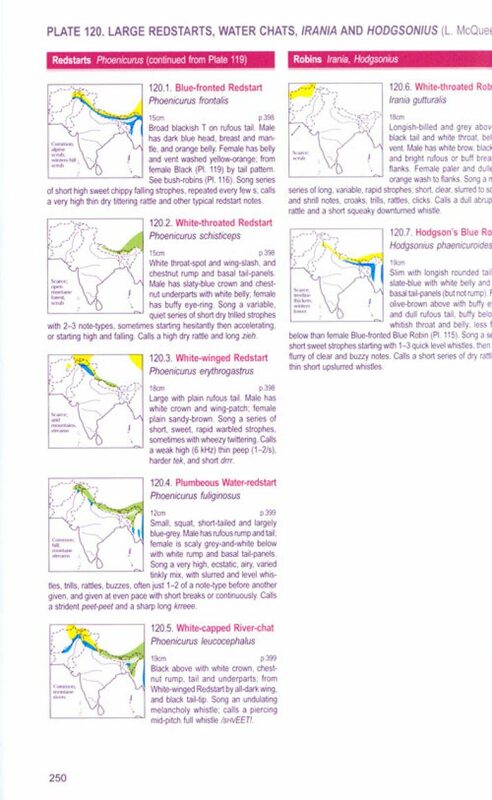 - Concise texts give the information necessary to identify each species . - To assist in locating groups within the text, illustrated plate keys are provided in the endpapers. 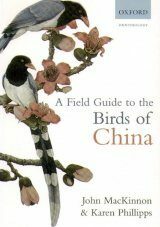 - Contains much new information and many taxonomic treatments. - Alternative names are listed and taxonomic issues are summarized. 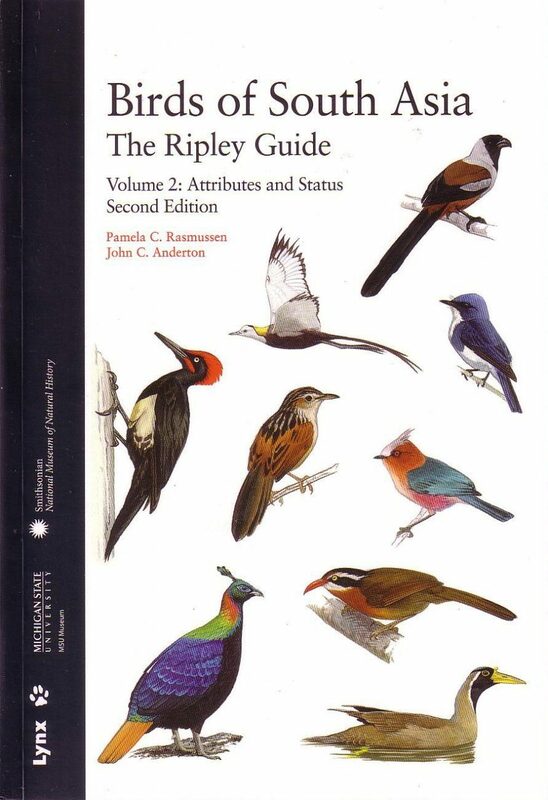 - Specimen measurements specially taken for this book are presented for each species. - Complete data about identification, status and distribution, and habits are provided for each species. - Problematic records are mentioned. - Vocalizations are described from recordings, and there are over 1000 sonagrams. 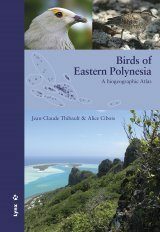 - Appendices include the region's first hypothetical species list, a gazetteer, brief ornithological histories, and lists of taxonomic changes, regional specimen holdings, and threatened species. - A comprehensive index allows users to find whatever names are most familiar to them. 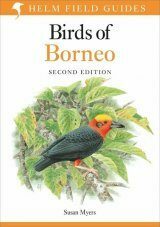 - Maps indicate geopolitical names, topography, habitats, and bird species diversity and endemism. - five taxa formerly considered full species are lumped, decreasing the regional list total. 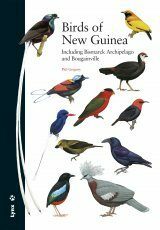 - The six species new to the region are: the newly described bugun liocichla Liocichla bugunorum, one putative new species yet to be described, the great Nicobar crake Rallina sp., and four vagrants (bandrumped storm-petrel Oceanodroma castro, long-tailed jaeger Stercorarius longicaudus, blue-and-white flycatcher Cyanoptila cyanomelana, chestnut-cheeked starling Agropsar philippensis). Other taxonomic changes are summarized in Appendices 1, 11 and 12. Of the species-limits changes enacted in the second edition, all but five are on the basis of peer-reviewed published recommendations. The five exceptions (Egretta intermedia vs. E. brachyrhyncha and E. plumifera, Otus modestus vs. O. sunia, Chrysocolaptes socialis vs. C. guttacristatus, Pomatorhinus phayrei vs. P. ferruginosus, and Pachyglossa (Dicaeum) obsolete vs. P. agilis) are all species that were noted as probable future splits in the first edition but for which further data were required to make a decision. In each case, further vocal recordings are now available and confirmatory, and in the case of Pomatorhinus genetic data are confirmatory. 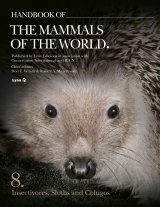 In the second edition, new recordings were summarized for species for which weak or no representation of their vocalisations was previously available. 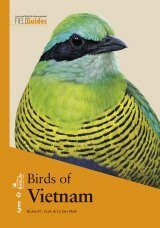 Furthermore, the second edition includes capsule summaries of vocalisations to facing plate notes for nearly all species in Vol. 1, often based on previously unavailable recordings. This addition will make this more portable volume much more self-standing in the field. "[...] should you buy it or not? If you do not already have the first edition, then do not hesitate. 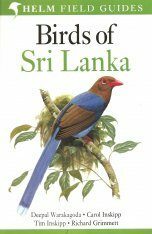 No other book contains anything like as much information about the birds of South Asia, so it is an essential work. If you bought the first edition then, unless you visit the region th a great deal, I doubt that you would see this as a worthwhile investment." "[...] The one drawback of this fantastic piece of work is probably the relatively high price. 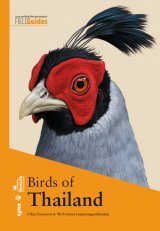 This is not the only guide to the birds of the Indian Subcontinent, and some birders may prefer to spend less and invest in its closest competitor, the second edition of Birds of the Indian Subcontinent. 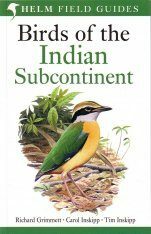 Overall, Birds of South Asia is a much more comprehensive piece of work, with its two volumes, and the field guide (Volume 1) compares very favorably with Birds of the Indian Subcontinent. 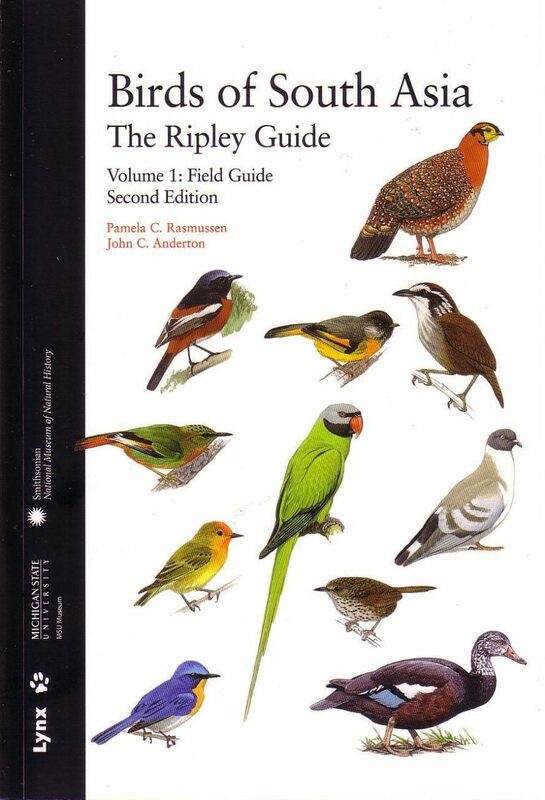 Personally, I try to take both on my trips to India, but if I had to choose I would probably take Volume 1 of Birds of South Asia: The Ripley Guide." "[...] As a two-volume handbook the quantity of information contained here is staggering and it outperforms BIS in the level of detail presented, making it the most exhaustive and comprehensive guide available to the entire subcontinent. As such, it has become the essential guide to travel with, and its new paperback format has brought the weight down considerably. The two-volume layout enables users to take the portable Volume 1 into the field, and study the detailed text in Volume 2 at a more leisurely pace later in the day. 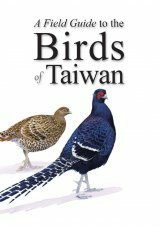 However, BIS cannot and must not be ignored, as it remains an authoritative text to the birds of the region, and the regional offshoot guides are particularly portable and useful in the field. 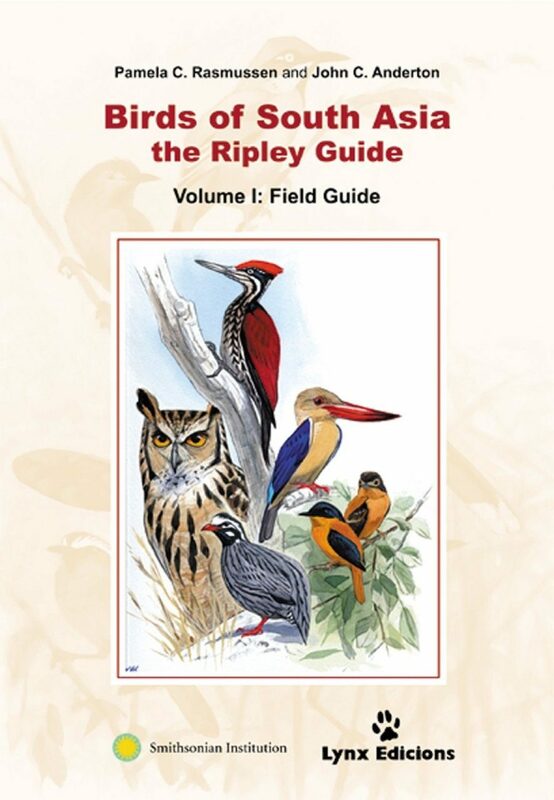 As no one guide can cover everything, my recommendation would be to take BSA as the primary reference and supported by either BIS or the relevant regional guide from BIS series (which are much lighter), thus giving the widest coverage of identification text, images and maps."